When Alice Shaw gave up her life on Earth, she never expected to find love in the furthest reaches of the galaxy. 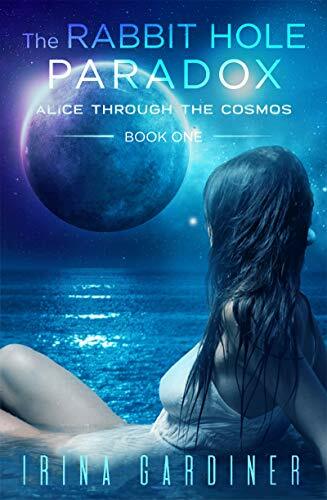 A brilliant astrophysicist, Alice Shaw and a trio of fellow scientists have been hired by the mysterious AZURA Space Exploration Corp. to work aboard the ASE Dinah, a state-of-the-art spacecraft bound for a YEARS mission to find the far off planet of Ravenia. The chance to find a world which may offer a second chance for the population of a dying Earth is something Alice could never refuse. When a glitch in the Dinah's navigation systems sends the team to the faraway planet of Quadrille instead, Alice is forced to face not only a powerful alien queen with evil plans for her home planet but also the reality that her heart may open up in ways she never imagined. Excitement, danger, and most of all, love are all waiting for Alice and her crew when they fall through the rabbit hole. But will they be brave enough to embrace it?